Celebrating the life of Fr. Salvatore Cuccia O.Praem. Be the first to share your favorite memory, photo or story of Fr. Salvatore. This memorial page is dedicated for family, friends and future generations to celebrate the life of their loved one. Obituary for Fr. Salvatore Cuccia O.Praem. 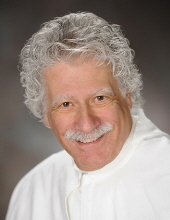 Father Salvatore Henry Cuccia, O. Praem., age 78 a member of the Norbertine Community of St. Norbert Abbey, De Pere, WI, and a Norbertine priest, passed into God’s eternal kingdom on 17 November 2018. Father Salvatore (Sal) was born on 1 September 1940, in Madison, WI to John and Anne (DiSalvo) Cuccia. His home parish was St. Joseph Parish, Madison, WI. In 1963, Father Sal received a B.A. degree in Philosophy from St. Norbert College, De Pere, WI, and in 1968 received a degree in Theology from Marquette University, Milwaukee, WI. Upon entering St. Norbert Abbey, he was vested as a novice on 28 August 1958. He professed Simple Vows on 28 August 1960, Solemn Vows on 28 August 1963 and was ordained to the Priesthood on 1 September 1966. He celebrated 50 years of Priestly Ordination in 2016. Father Sal was a faculty member at Archmere Academy, Claymont, DE from September 1967 to June 1986, where he taught Theology. He was Associate Pastor at Our Lady Queen of Peace Parish, Baltimore, MD from June 1991 to April 2000 as well as Associate Pastor at St. Norbert College Parish from 2000 to 2012. He was then named Administrator of St. Norbert College Parish from 2012 - 2015. Since 2007, Fr. Sal served as House Superior at St. Norbert Abbey. As House Superior, he had a wonderful gift of bringing people together to share in Norbertine celebrations. He was the Chaplain for the Norbertine Associates and Co-Chaplain of St. Norbert College Department of Alumni and Parent Relations. Father Sal is survived by the Norbertine Community; sisters, Laura (Dean) Collins, Vincy (Mark Deur) Cuccia, niece Laurean (Thomas) Butcher, two nephews, John (Julie) Collins and David (Allison) Walford as well as many grandnephews and a grandniece. Visitation will be held at the Church of St. Norbert Abbey beginning at 7:00 PM on Sunday, 25 November, 2018 with Vespers of the Dead - Reception of the Body and concluding at 9:00 PM. Visitation will continue on Monday, 26 November 2018 from 8:30 AM until 10:30 AM. The Mass of Christian Burial, expressing our faith and hope in the promised glory of the Lord's Resurrection, will be held in the Abbey Church on Monday, 26 November 2018 at 11:00 AM. Very Rev. Bradley R. Vanden Branden, O. Praem., Prior of St. Norbert Abbey, will preside at the funeral liturgy. Rev. Stephen J. Rossey, O. Praem. will serve as homilist. To send flowers or a remembrance gift to the family of Fr. Salvatore Cuccia O.Praem., please visit our Tribute Store. "Email Address" would like to share the life celebration of Fr. Salvatore Cuccia O.Praem.. Click on the "link" to go to share a favorite memory or leave a condolence message for the family.